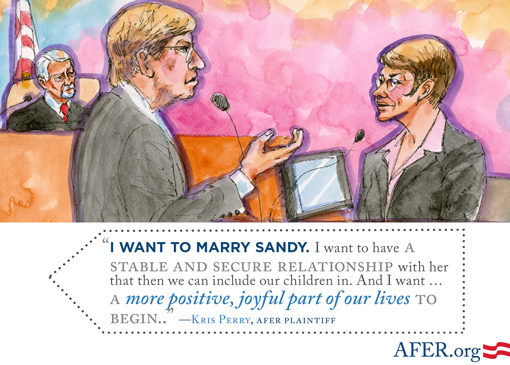 Day 1 of the marriage equality truth commission started with opening statements. 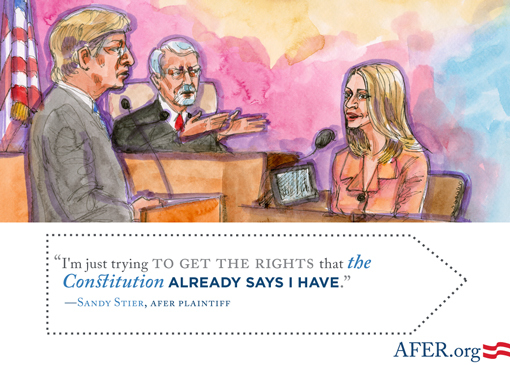 Then each of AFER’s plaintiffs then took the stand. 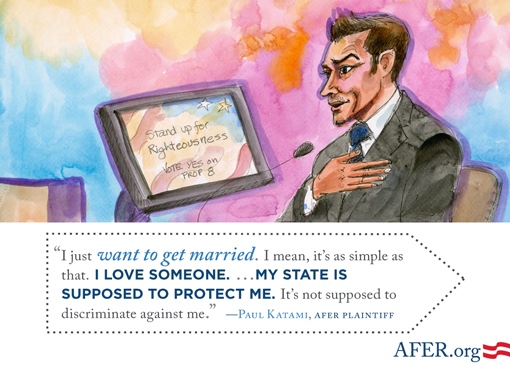 The first person to take the stand was Jeff Zarrillo, one of AFER’s plaintiffs. 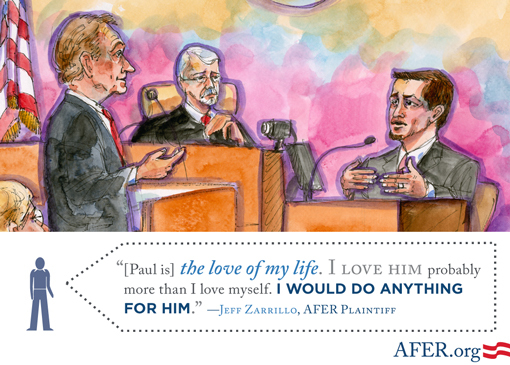 At the time of trial he had been with Paul for nearly 10 years. He talked about how important Paul is to him.